Buy Liqua eLiquid - Peach 30ml in Melbourne, Australia. Free Delivery* and Discount. 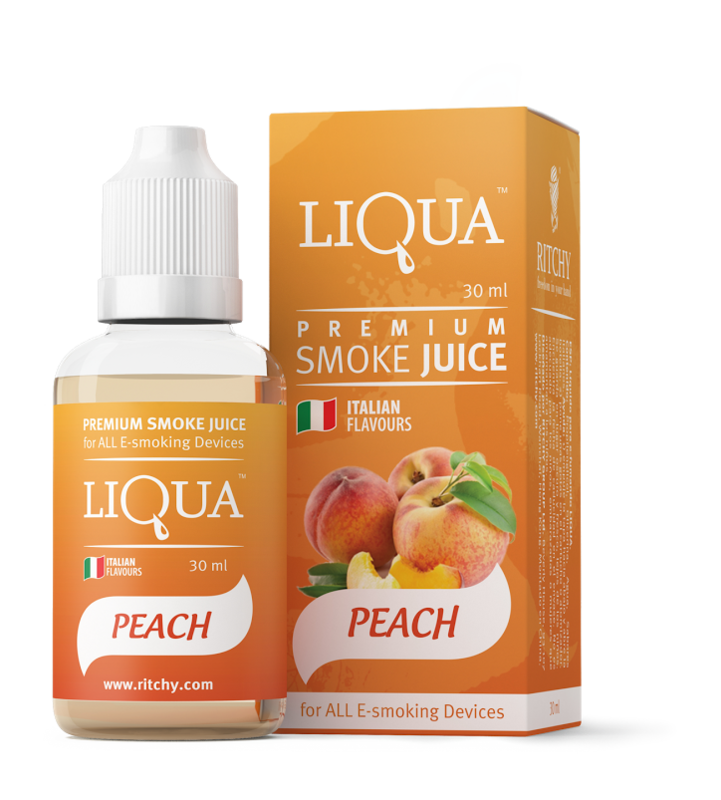 So what is Liqua E-Liquid - Peach 30ml? Peach is one of our new flavour and it has satisfied our customers. It has extraordinary freshness and succulence that you instantly begin to look all starry eyed at. You can taste that sweetness straight away. Peach is brimming with that warm new flavor making every day feel like summer. What a solace! E-liquid Peach brings unbelievable freshness and succulence that you quickly begin to fall in love with it. Each one puff joins sweetness, rich kind of new peaches that makes your day abruptly into relaxing. For its softness is suitable for throughout the day vaping. LIQUA’s full range of tastes are designed carefully by those who really know what theyshould be – the most professional flavorists from Italy. That means LIQUA’s Tobacco taste is truly right - as fresh as natural leaf Tobacco. LIQUA Peach flavor is as juicy as a real green Peach, and LIQUA Peach – tastes as good as what you’ve got in your morning cup.